Moscow, April 20, Interfax – Patriarch Kirill of Moscow and All Russia will attend the opening ceremony of memorial events to commemorate the 25th anniversary of Chernobyl Power Plant accident. “He will ring the Chernobyl bell on the night of the catastrophe at 01:23 a.m.,” Archpriest Nikolay Balashov, deputy head of the Synodal Department for External Church Relations, said at a Moscow – Kiev video conference. The ceremony will be held in the church complex located in the Darnitsa District of Kiev. 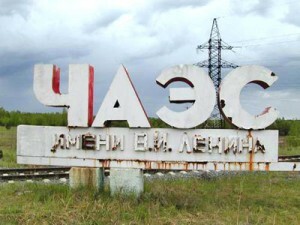 The Dartnitsa district is the one where the memorial Chernobyl campaign starts each year. According to Father Nikolay, Patriarch will visit Ukraine together with Metropolitan Filaret of Minsk and Byelorussia and hierarchs in charge of dioceses affected by nuclear pollution.